Recently found some Gundam Papercraft models. A member of Danny Choo’s site has posted some info on papercrafts etc. I edited the pages/parts with Photoshop, like adding gradients and decal parts. 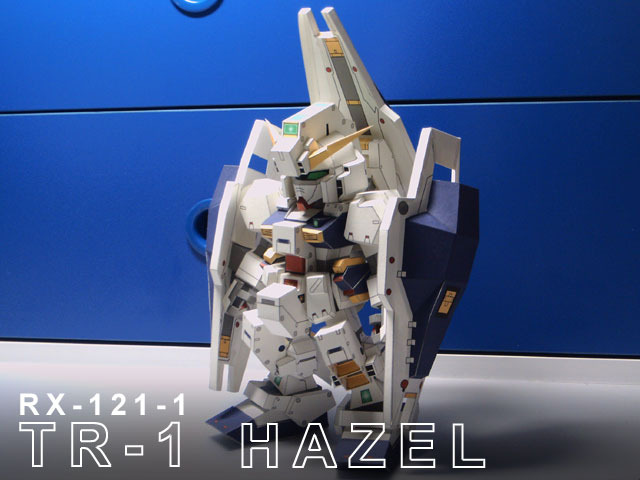 Will post up photo’s of the finished papercraft HAZEL! Did you know that the names Hazel, BigWig, Fiver, Dandelion, and Hrdudu, etc was from the novel Watership Down, a novel focus primary on rabbits. The Titan Test Team uses a rabbit on the emblem too!